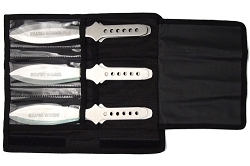 Constructed of 440 steel perfectly balanced 3 piece throwing knife set. 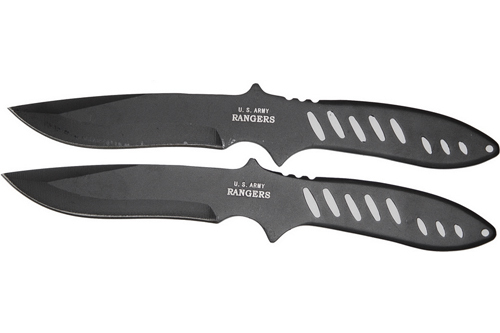 Each knife is 9" with solid tang and Pocket knife Design. Silver on metal and packed in quality nylon case. This is used for throwing into foam targets and not hard surfaces such as bales of hay. Do not throw into wood or stone. 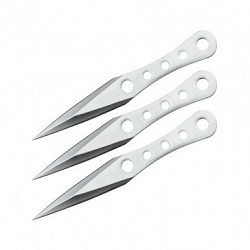 These are sport throwing knives used to help you improve on accuracy on foam targets. 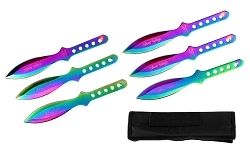 These throwing knives are well balanced and sharp. Can't wait to set up my throwing targets and try them out!! Been throwing these for about 2 weeks now, they are now my favorite throwing knives and I have plenty. They are nice and heavy and throw well. 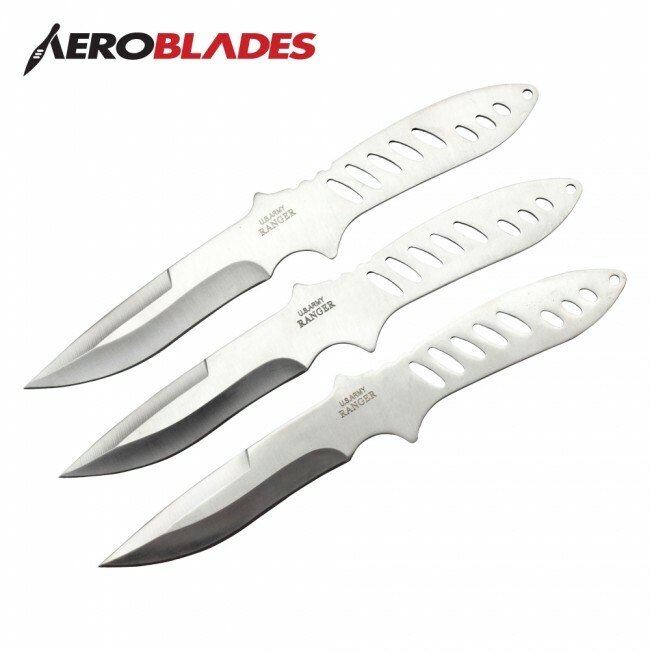 Found a set of these at fleamarket love shape they are balanced well , currently waitin on my stainless blades to arrives thanks hanzoswords!